The eight-day meeting of international negotiators for climate change which kicked off in Bonn Sunday has as yet produced little newsworthy issues other than a lower than expected US commitment to carbon dioxide reductions. The US climate negotiator Todd Stern, despite being upbeat about the talks, conceded only to a 16% cut for the next 12 years. But the UN released a document outlining an unprecedented amount of detail in terms of the anticipated impact of the next climate deal. The 16-page document, entitled Information Note by the UN Framework Convention on Climate Change provides a good insight into what it is that the negotiators -and sooner or later, we all- are believed to be up against. In all honesty, so far nobody really has had a clue what the practical implications of a new climate protocol will boil down to. Much as we all need to hear that the developed world (which has historically caused most of the pollution) is unanimously committed to emissions cuts of up to 80% by 2050, the realities of such measures are not yet known to even the most adept politicians, economists or environmentalists. And even the official prognosis in the Information Note can hardly be called reliable. But despite all that, the document is a shocking read in places. The Note falls nothing short of predicting the biggest overhaul of the global economy ever. Re-establishing a global economy order will involve millions of job losses worldwide as industry relocates to areas with less stringent environmental rules. As the December 2009 deadline for the new Climate protocol looms and the world is already in chaos because of the financial crisis, the UNFCCC’s document informs us that no matter how washed out the next climate deal might turn out to be, it will most likely involve border tariffs and environment taxes. The impact of such tariffs are not going to be any different than the impact of regular tariffs but we’ll have to be prepared for massive industrial relocation. That’s, of course, a negative for the country that loses employment and investment and positive for countries that host the relocated industries. A by-effect of environment tariffs will be something described as “border carbon adjustment”. It’s not clear whether this would be a kind of reactionary policy by the Developed world, but the UN foresees that countries would impose “a levy on imported goods equal to that which would have been imposed had they been produced domestically” under more strict environmental regimes. Exporters could also be forced to buy [carbon] offsets at the border. As they say, there are many ways to skin a cat. But at the end of the day the impact of future environment tariffs will lead to “decreased market share for covered foreign producers”. That, in my books, is shocking. And the note adds that “If they were implemented fairly, such schemes would leave trade and investment patterns unchanged.” Can you guess what the Third World’s reaction will be to this “business as usual” anticipation? It leaves a bitter taste in my mouth. It’s issues like these that will likely determine not only the Third World’s enthusiasm for binding commitment, but also the future of the Clean Development Mechanism, the UN market in carbon credits that so far enables European countries and companies to reduce CO2 by investing in clean-energy projects in developing nations. Sadly, it’s hardly a question whether a 25 percent reduction from 2000 levels by developing countries would be enough (it won’t be). But, the negotiators for the Third World are struggling with how, with these tools, they can achieve reductions at all. Hopes are high, the stakes even higher and whether we like it or not change WILL happen, but it’s all rather pointless if change does not mean change in fortune. On 17 March the UNFCCC published a general outline of where the negotiations are at. After months of sifting through lots and lots of proposals on how to achieve carbon emissions reductions, the international agency issued a few proposals on which it believes most agreement exists. 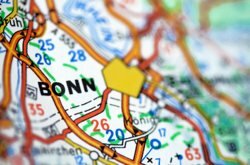 The proposals on the table currently in Bonn include having industrialized nations cut their emissions by 40 percent from 1990 levels by 2020 and by 95 percent by 2050. As for the developing nations, there’s a new proposal to ask the Third World to commit to emissions reductions of 25 percent by 2050 from 2000 levels. Such a proposal has never been on the official agenda before but the UNFCCC says it has detected “convergence” among countries over the need for a long-term goal for emissions cuts to be set for 2050 and that emissions need to peak within the next 20 years. Hopeful as this sounds, there’s still no end to the lack of agreement on what’s fair for each country to commit to.